At some point in your life, it’s likely that you’ve had a headache or a migraine. While the pounding behind the eyes or the throbbing in your temple is difficult to deal with, the truth is that it is often difficult to find an underlying cause for headaches and migraines. Headaches can come with nausea, weakness, or blurred vision that seriously affects your quality of life if not treated correctly. Fortunately, chiropractic treatment is often successful at dealing with headaches and migraines. If you suffer from this ailment on a regular basis and are tired of not feeling well, allow us at Hanson Chiropractic to help. According to several studies completed over the last decade, experts believe that chiropractic treatment can be extremely successful in treating those who suffer from migraines and headaches. Specifically, in a study release in 2001 and several prior to that, researchers found evidence that manipulating the spine provided almost immediate improvements for headaches starting in the neck. This same study determined that chiropractic care for treating headaches also came with longer lasting relief for tension headaches, and lower risks of side effects from medications commonly used to treat headaches. Experts also believe that even those who only received chiropractic care for four weeks benefitted from longer lasting relief than those that only relied on pain medication to treat headaches. Simply put, chiropractic care offers unique benefits that don’t come from treatment through medicine. At Hanson Chiropractic, we understand that every patient is unique, and that your needs are different than our other patients. That’s why we perform a thorough evaluation to determine what types of treatments will work best for your specific type of headache. Typically, most tension headaches can be treated by manipulating the top two cervical vertebrae combined with adjusting the junction between the thoracic and cervical spine. Chiropractic care combined with lifestyle and food changes can help to relieve tension and pain from both common headaches and migraines in most patients. Most headaches can be placed in three different categories: tension headaches, migraine headaches or cluster headaches, which are far less common than the first two types of headaches. Tension headaches are the most common type of headaches, and almost 75% of those who suffer from headaches report symptoms related to tension. Tension headaches may come on slowly and last anywhere from half an hour to several days. Most patients describe tension headaches as a dull ache behind the eyes or around the head, or a constant achy, dull feeling on the sides of the head. These headaches are often caused by bad posture and stress, which place excess pressure on the spine and the muscles located in the neck and the upper back. Some patients suffer from tension headaches that can last for months at a time. These occurrences can often be debilitating and painful, but are rarely associated with other common headache symptoms like vomiting, throbbing or nausea. Referred pain caused by trigger points in the levator muscle, located on either side of the neck, or the Sternocleidomastoid. Typically, this pain is caused by muscle damage due to a whiplash injury like a car accident. Subluxation in the neck and upper back combined with active trigger points. This causes the loss of normal position or motion to the two cervical vertebrae. At this point, the rectus capitis posterior minor may start to spasm. The RCPM has a tendon that slips between the base of the skull and the upper neck, and is attached to the dura mater that covers the brain and is a pain-sensitive tissue. When the RCPM spasms, this tendon causes a pull on the dura matter, resulting in a headache. These types of headaches are common in those who sit at a desk all day for a job. Regardless of the cause or the extent of your suffering, addressing the problem with chiropractic treatment can help you lead a higher quality of life free from the dull ache of a tension headache. Get personalized help with your headaches. Migraine headaches are more common in women, and affect almost 25 million people each year in the United States alone. Almost three quarters of that 25 million are women of every age. Migraines are described as throbbing, intense headaches that often come with a dose of sensitivity to noise or light and nausea. The vision may also be affected in the form of an “aura” or flashing lights where life appears as a dream right before the onset of a migraine. Historically, patients begin having migraines before they reach the age of 30, and there is some genetic link as the headaches tend to be common in certain families. As further proof that every patient is different and headaches come in all forms, some migraine sufferers may only have a headache once a year, while others deal with these painful occurrences several times each month. Typically, patients report that migraines become less severe and occur less often as they get older. The cause of migraines is simple, while the treatment is anything but. Migraines are caused by the dilation of blood vessels in the brain that is a direct result of constriction of those blood vessels. As the vessels constrict, the blood flow decreases, which may be what causes the visual symptoms that come with migraines. Once dilation of the blood vessels occurs, the blood pressure inside the head rapidly increases, causing a pounding headache. Every time the heart beats at that point, a shock wave is sent by the carotid arteries into the brain. Even those who don’t experience visual symptoms can typically tell when a migraine attack is coming on. Simple lifestyle changes may help to reduce the occurrence of migraines, but the reality is that without a specific cause, treatment may be complicated. That’s where we come in with proven methods that help to relieve pressure and reduce the occurrence of migraine headaches. Cluster headaches are more common in men and affect almost one million people in the United States alone each year. These headaches don’t last long, but are severely excruciating and typically felt behind the eyes on only one side of the head. Cluster headaches are also more likely to happen at night. This type of headache is named a “cluster” because they tend to happen in clusters. Patients may experience 1-4 headaches over a period of several days, and then have no problems for several months. It is believed that cluster headaches are related to blood vessel dilation in the brain, which causes an increase in pressure in a specific area. These headaches are the least common of the three types of headaches. Most headaches are associated with four muscles, which can be treated with trigger point therapy. Because the Splenius muscles are found in the upper back and run to either the upper cervical vertebrae or the base of the skull, trigger points within them often cause headache pain that moves through the head to the eyes or top of the head. Four small muscles make up the suboccipital group, and are given the task of ensuring proper positioning and movement between the base of the skull and the first cervical vertebra. Within these muscles are trigger points that can cause pain inside or at the back of the head that also leads to the forehead or the eye. Pain may also be centered on one entire side of the head. The SCM muscle starts at the base of the skull, runs behind the ear, down either side of the neck, and then attaches to the breastbone at the top of the sternum. Trigger points in the SCM can lead to visual disturbances, balance problems and referred pain. Pain tends to show up deep in the eyes or cause headaches directly over one eye or even manifest in the form of earaches. SCM trigger points may also cause unbalance, dizziness and nausea. The large, flat muscle located in the mid and upper back is the trapezius muscle. The trapezius has a trigger point at the very top that is commonly associated with pain in back of the head or at the temple. This specific point may also produce satellite trigger points in the jaw or temple muscles, eventually leading to tooth or jaw pain. Here at Hanson Chiropractic, we know that every patient is different, and the causes and effects of headaches are widespread and far-reaching. We perform a thorough evaluation to determine which treatments will work best for your specific situation. Our goal is to help you get rid of headache pain and increase your quality of life. Many types of headaches have triggers, and your triggers are often specific to your life. Managing and changing several things in your life can greatly decrease your chances of getting headaches. Consume fewer foods that are high in tyramine, an amino acid that is associated with headaches. Foods high in tyramine include any fermented or pickled foods, chocolate and ripened cheeses. Remove common household poisons like lead, carbon tetrachloride and insecticides from your hope. Many children with headaches have been exposed to lead paint. Remove foods that contain MSG from your diet. This includes meat tenderizer, soy sauce, and many packaged foods. MSG is used to enhance flavor, and you can determine which foods contain MSG by consulting the package. Lessen exposure to nitrite compounds that are often found in dynamite and some heart medications. Nitrite compounds are also used to preserve meat like processed meats and hot dogs. Foods containing sodium nitrite may be a common cause of headaches. Be aware of your mental health and emotional factors that cause headaches. These include, but are not limited to anxiety, frustration, depression, and letdown. Even intense pleasant experiences can cause headaches. Watch for headaches when stress levels are high, during menstrual periods or extreme changes in weather. Certain odors and foods may also trigger headaches in certain patients. Watch closely for foods you’ve eaten before a headache occurs. Headaches may not be obvious to those around you, but they greatly affect how you feel during the day and the level to which you are able to perform your everyday tasks. We are here to help you receive the treatment you need and to control lifestyle and environmental factors that affect headaches. If you suffer regularly from headaches, schedule an appointment with Hanson Chiropractic today. 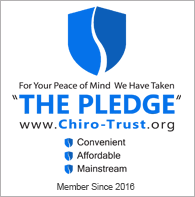 Send us a message or give us a call at 425-355-3739, and start your journey to a life free from pain.